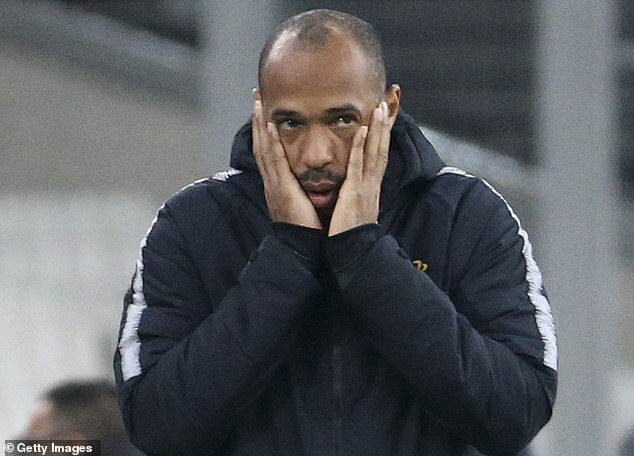 However, Red Bull Global Soccer – which also owns Bundesliga club RB Leipzig and Austrian side Red Bull Salzburg among others – are keen on bringing Henry back to the club where he spent four years before retiring in 2014. The MLS side would also enjoy success in his time there, lifting the 2013 Supporters’ Shield for best regular season record. The Frenchman, who earned 121 caps and scored 51 goals for his country, enjoyed a record-breaking nine-year spell in north London, winning two league titles and two FA Cups and scoring 226 goals in 369 games as part of the 2004 ‘Invincibles’ side.